Today, we’re launching a new interactive education program for Universal App campaigns (UAC). UAC makes it easy for you to reach users and grow your app business at scale. 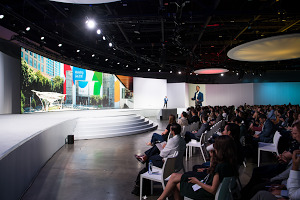 It uses Google’s machine learning technology to help find the customers that matter most to you, based on your business goals—across Google Play, Google.com, YouTube and the millions of sites and apps in the Display Network. Learn from industry experts. The course was created by marketers who’ve been in your shoes and vetted by the team who built the Universal App campaign. Learn on your schedule. Watch snackable videos at your own pace. The course is made up of short 3-minute videos to help you master the content faster. Practice what you learn. Complete interactive activities based on real life scenarios like using UAC to help launch a new app or release an update for your app.